Download Tim Horton’s mobile app and get a Free Coffee! Valid for 1 any size Original Blend, Dark Roast, Decaf or Iced Coffee until October 8, 2017. There’s a limit of 1 per customer. 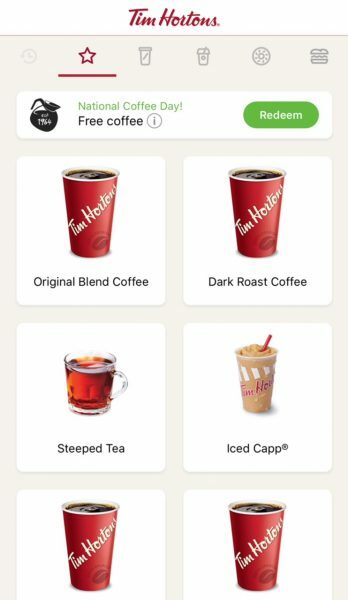 The Tim Hortons Mobile App is available to download on the Apple App Store and Google Play Store. The offer can only be redeemed through mobile ordering when you download the Tim Horton’s App and activate your account (or if you already have the app and an activated account). To activate your account, you must load a minimum of $10 into your account. After you download the App, you’ll see a “National Coffee Day! Free Coffee Green Redeem” banner near the top. TIm Horton’s will give away up to 1 million free coffee’s during this promotion. Click here to read the official release and for more details. Click here to download Tim Horton’s iOS mobile app. Click here to download Tim Horton’s Android mobile app. It’s back and bigger than ever. This year, Canada Post Solutions for Small Business members receive even more savings every Tuesday in October. You can ship an Xpresspost or Expedited Parcel for free anywhere within Canada using our new online tool, Canada Post Snap Ship. And we’ll even come pick it up – also free! Just our way of saying thanks. Not yet a Solutions for Small Business member? Sign up now – it’s free. Remember to come back every Tuesday in October for your free shipment. Click here to visit Canada Post’s website for more details. 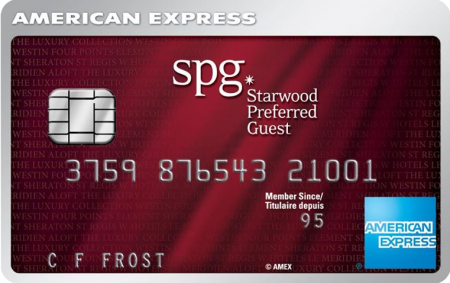 TRAVEL HACKING: Starwood Preferred Guest (SPG) Credit Card from Amex – Get 25,000 Bonus Starpoints = 6 Free Nights Hotel! UPDATE 2: Apparently, Starwood Preferred Guest (SPG) Credit Card from American Express will end their referral program on September 27, 2017. Sign-up for the card today if you don’t have the card yet. If you have the card, self refer yourself and spouse to the Starwood Preferred Guest Business Credit Card from Amex so you get the referral bonus before it ends today. UPDATE: Increased Bonus – For a limited time, American Express has increased the Welcome Bonus from 20,000 points to 25,000 points! Offer ends Oct 18, 2017. If you haven’t already signed up for the card, now’s the time to do so. An awesome deal got even better. I’m always learning about travel hacking and wanted to share with you another amazing, even better offer – American Express Starwood Preferred Guest (SPG) Credit Card! For a limited time, they’re offering an incredible 25,000 (20,000) Welcome Bonus Starpoints! That’s enough points for up to 6 Free Nights Hotel at a Category 2 property! Each SPG point is worth around 3.55 cents CAD so you’re getting tremendous value. I now use this card as my primary go to (daily use) card. I charge whatever I can to it because it gives me twice the value compared to my other credit cards. To get the 25,000 welcome Starpoints, all you have to do is sign-up for the card and charge $1,500 in purchases to the card within the first three months of card membership. The card has a $120 annual fee, but even with that, this is the absolute best card to have because of the generous welcome bonus (worth over $850 CAD). If you don’t like the card, you can cancel the card at any time without penalty and keep your points. Welcome Bonus: Earn 25,000 Welcome Bonus Starpoints, after you charge $1,500 in purchases to your Card in your first three months of card membership. That’s enough for up to 6 free nights (over $850 value). I won a SPG Moments auction and went to the 2017 NHL All-Star game! 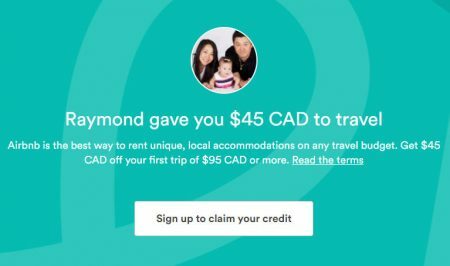 Because the card sells itself, I’ve been able to easily refer friends and family to also sign-up for the card and accumulate lots of bonus points (10K bonus points for each referral). Earlier this year, I used SPG Starpoints and won a couple SPG Moments auctions and got to go to the NHL All-Star Game in LA as well as NHL Awards in Vegas! It was truly an once-in-a-lifetime experience and I was only able to go because of SPG. If you consider all the points, this is a deal you can’t ignore! Worst case, you take the 25,000 Starpoints and cancel the card before the first year. Click Here to start Travel Hacking and get your 25,000 SPG Welcome Points today! Today is National Ice Cream Cone Day (Friday, September 22, 2017). To celebrate, Marble Slab Creamery is offering a BOGO free cone deal. 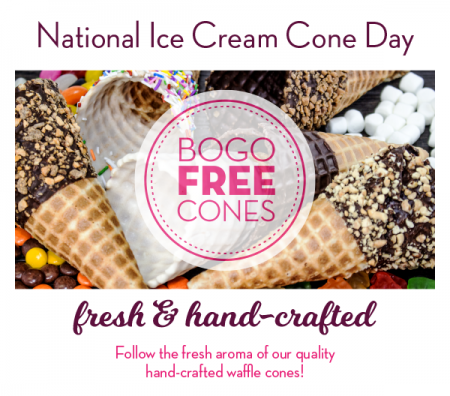 Get a FREE cone when you purchase a cone of equal or greater value. Valid at participating Canadian locations on Friday September 22, 2017 only. No coupon required. No cash value. Cannot be combined with any other offer. Click here to visit Marble Slab’s website. Click here to find a Marble Slab location near you. If you’re a regular follower of my blog, you’ve likely started Travel Hacking after reading my all-time most popular post: American Express Gold Rewards Card – FREE 30,000 Points = FREE Flight to Anywhere in North America! The Starwood Preferred Guest (SPG) Card from Amex is the 2nd step in your Travel Hacking journey. Travel Hacking is the art of collecting miles and points to get free flights, hotels, and more. REMINDER: SPG Credit Card from Amex – Increased Welcome Bonus – Get 25,000 Bonus Starpoints = 6 Free Nights Hotel! REMINDER: Amex Gold Rewards Card – Get 30,000 Points = FREE Flight to Anywhere in North America! UPDATE: For a limited time, American Express has increased the Welcome Bonus from 25,000 points to 30,000 points! This is the time time sign-up for the card if you haven`t yet. Travel Hacking is the art of collecting miles and points to get free flights, hotels, and more. Checkout my new travel site RayTravelsFree.com for more travel hacking tips and deals.